Beginning at 8:00 am, on the morning of Tuesday, February 5th, LSW will offer the ASVAB (Armed Services Vocational Aptitude Battery) test to interested students. This test may be taken by students who are not interested in the military as well as those who want to join a branch of the Armed Services. Students may register for this free career assessment in the Counseling Center. 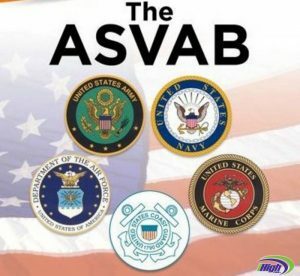 According to Military.com, “The ASVAB is an aptitude test that doesn’t just tell you what you are currently good at, it will also tell you what you may be good at learning. You may know nothing about electronics but your scores may say you have the ability to learn electronics.” ASVAB test scores are broken down by the individual sub-tests and composites of the sub-tests. One of the most critical of these scores is the Armed Forces Qualification Test, which is used to determine if an individual is qualified to join the military service. Each service determines the qualification AFQT score for enlisting in their service. The online course selection process for the2019-120 school year is now accessible to students through February 10gh. The online course selection process may be completed online using Synergy StudentVUE or ParentVUE. On Wednesday, February 6th, current LSW 9th – 11th grade students will have the opportunity to attend a course selection help session during Parent/Teacher Conference from 4:00 to 7:00 pm in the Media Center Computer Lab. Counselors and Student Ambassadors will be available to answer questions at this session. 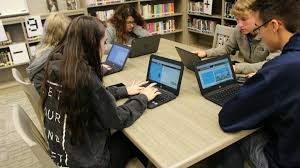 Online course selection sessions will be held for current 8th graders on Tuesday, February 5th and Thursday, February 7th in the Media Center Computer Lab. Students and families are reminded that selecting courses now does not guarantee these classes will be in the 2019-20 schedules as there are times when schedule conflicts occur, classes are not offered, or pre-reqs have not been met. Course selection does ensure that students have the opportunity to select the coursework that will best meet graduation requirements and post-secondary options. The February College Planning Bulletin reminds seniors and their families that getting financial aid for college involves more than completing and submitting the Free Application for Federal Student Aid (FAFSA). Make sure you get through each step of the process so that you don’t miss out on money for college. If you haven’t, complete the form at FAFSA.gov using 2017 income tax data. Before you start, both the student and a parent must each get an FSA ID at fsaid.ed.gov. You’ll need the FSA IDs to access and sign your FAFSA. Expect a Student Aid Report (SAR) via an email link. 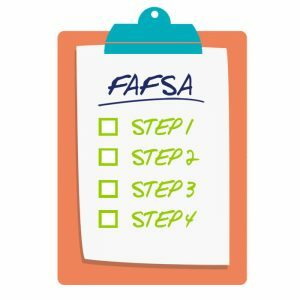 The SAR acknowledges that your FAFSA was received and lets you know if you need to take further action before the form can be processed. You might receive a “verification” notification. The college(s) you listed on your FAFSA may contact you requesting documents to verify information you included on your FAFSA. You must provide those documents before your financial aid can be processed. Watch for an award letter from the college(s) you listed on your FAFSA. This will detail the types and amounts of financial aid they are offering you. You must have been accepted for admission before the college will send an award letter. It’s necessary to check your email and/or student portal carefully to ensure you don’t miss important information about admission and financial aid. Click here to access the remainder of the February issue of EducationQuest’s College Planning Bulletin to learn more about the different types of scholarships that are offered. 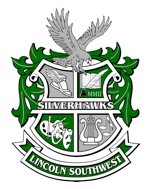 LSW students and families are also reminded that R.J. Vega, a bilingual EducationQuest College Planning/Financial Aid Specialist, is at Southwest High School on Wednesdays. To schedule an appointment, please click here or contact Mrs. Janene Way in the Counseling Center at jway@lps.org or 402-436-1306 Option #3. When selecting your classes for next year, choose challenging academic classes, even if you are not required to take them. College admissions officers want to see students challenge themselves in their academic choices, rather than taking the easy way out. This also means if honors or Advanced Placement courses are available, take them if you feel up to the challenge. The rigor of your coursework is one of the key things that college admissions counselors will look at to judge how well you will fit in their institution. If they see you’ve pushed yourself–in many cases, even if it meant getting a B instead of getting an A in an easier course–it will be a good indication that you’re willing to work hard.3. Get to know your counselor. If you haven’t spent much time with your school counselor, check in with them this semester and get to know them. Also, let them get to know you. A recommendation from your counselor that can speak personally about an applicant is always better than a generic letter listing off your accomplishments and extracurricular activities. Get to know your teachers and let them get to know you on a personal level. Colleges will need a teacher recommendation letter, and just like counselor letters, it is always best to have a letter that can speak highly about a student. This is especially important if you know which majors you might be interested in or if you are planning to apply to a selective college program. This will allow you to include all of your extracurricular activities, volunteer work, and other accomplishments in one place. It is also a way to inventory all of your activities and help you determine if you need to do more as you head into senior year. You will also provide a copy of your resume to your recommendation writers when requesting recommendations. 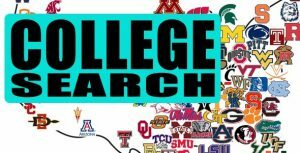 If there is a college fair happening in your area this spring, get ahead in the college search process and attend. These are great opportunity to learn about colleges and talk to college representatives. Rather than waiting until the fall when you should be focusing your attention on your college applications, get a lot of your questions answered now. Many of the college nights also include workshops on college admissions strategies and financial aid information. If you’re very interested in a college and have not visited yet, make plans to visit. The college visit is probably the most important part of the college search because it is the only way you will know for sure if the college feels right for you. College mailings and websites will give you the facts; the college visit will let you experience the community. While it is important to do some relaxing, it is also the perfect time to do things that could help with the college admissions process. 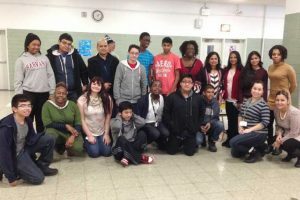 Learn more about summer programs, internship opportunities, or volunteer work. These are great activities to include on your college application. Grades and test scores play a big part in the college admissions decision, but your activities could be the thing that can set you apart from students with similar academic profiles. 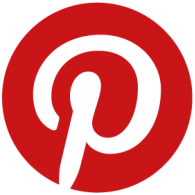 To read more details about these 10 suggestions, click here. Incorporate challenge, but wisely. Engaging just the right amount of challenge will allow you to master difficult material with a sense of reward and accomplishment. This is the fine-tuning that defines sophomore year. Sophomore year lends an opportunity to devote more time to key activities and, in doing so, offers valuable experience that may result in leadership roles. Commit to your highest interests and take them to a new level. Take a step in the direction of leadership and become a future standout in your chosen interests. Articulating and discussing your thoughts and ideas will bring clarity to the direction you want to take. 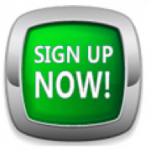 Begin to get some experience with the PSAT/ACT. Use your PSAT scores and other practice tests to get a sense of how you are doing and what kind of test prep you will need before you take the official test during junior year. Finding the right match in a college requires a thorough investigation. There are many unique colleges and universities that serve the needs of all types of students. For example, schools may offer unique programs in a particular major or significant learning support for students who need accommodations. Make conscious choices about where to spend time, with whom to spend time; approach your life with intention. Manage your studies, invest in good sleep habits, and commit to a physically healthy routine. As you begin to emerge from all of the decisions you have made during your sophomore year, you will begin to see patterns in your choices. Your story is beginning to emerge. Your decisions, accomplishments, and activities have begun to shape your story. You can always form study groups with your friends and classmates so that you all can tackle the material together. Many high school classes don’t utilize the textbook unless they are AP or advanced courses. It may be worth reading over the textbook chapters for the concepts you don’t understand in order to have the concepts explained to you again. Another consideration is that students sometimes struggle with social or mental health issues as well. Well, there are plenty of resources in high school for those too. If you feel overwhelmed, discouraged, or depressed as a result of your freshman year experience, we at CollegeVine highly suggest that you talk to somebody you trust and work out a plan with them to get you back on track. This can be a guidance counselor, a teacher you trust, a parent/guardian, a friend, a member of your community, or anyone that you think will listen and be able to help. There are more people looking out for you than you probably think. Unlike in middle school, you are now expected to come to a teacher yourself or figure things out for yourself if you don’t understand an academic concept or find yourself struggling in class. While teachers will be more than willing to help you if you approach them, they won’t slow down their class for you or go out of their way to see if you need help like they may have in middle school. The sooner you realize that the sooner you can take action and help get your academics back on track. Also unlike middle school, the grading system in high school is sometimes stricter, so it’s worth taking the time to understand how it works sooner rather than later. Some of your classes may have completely different grading systems, which means that you need to prioritize assignments for each class completely differently. You also may notice stricter policies like “late work gets a 0” and “If you are absent, you have X days to make up an assignment”. It’s not impossible to understand and follow these new academic standards once you know them. Sure, it’s an adjustment, but if you set high expectations for yourself this year, you’ll find that you can get all of your academic work done, perhaps even with time to spare. While you may have been used to the social scene in middle school, high school is a whole different beast. When you enter high school, you’ve gone from being a big fish in a small pond in middle school to a small fish in a huge pond in high school. The key to feeling comfortable in this new environment, however, is to find a group of friends to experience it with. Odds are, your friends are thinking the same things you are about your school and your classmates. Talk to them about it. It could be a bonding experience, and it could make you all feel a little bit better about your current situation. The more you participate, the more people you are likely to meet, and the more comfortable you might feel in your school. Many freshmen make the mistake of thinking that they can take on the world when they enter high school by taking AP classes right away, joining a bunch of extracurriculars, etc. The same number of commitments in high school as middle school can seem overwhelming now. Take a beat during the remainder of your freshman year and make sure that you’re not putting too much on your plate. If you find that you’re not able to get 7-8 hours of sleep, you don’t have time to take breaks during a school day, you’re not finishing all of your work, or overall you’re not maintaining healthy habits, you’ve definitely got too much on your plate. Not sure why overloading yourself could hurt you in the long run? Check out The Dangers of Overcommitting: How Taking On Too Much Can Hurt Your Applications. Every day, you should spend at least a couple of minutes to relax, destress, and do a mental health check. You’d be amazed how much happier you are when you are living right. Freshman year is the time to explore the different clubs and organizations at your school so that you can explore your options, make a lot of friends, and narrow down the extracurriculars that you want to continue throughout high school and gain leadership positions in. Try to join things that you have a passion for, but also try to get involved in activities that you may not have picked for yourself before this year just to try something new. If you find that one of your passions or interests is not represented at your school, don’t be afraid to take a bold move and start a club of your own! If you need help doing that, check out How To Start a Club in High School. High school is a time when many students find their voice and build up the confidence to speak up for themselves. If you haven’t been verbally advocating for yourself, whether it be through communicating with your teachers when you need help on an assignment or communicating with your friends when you need to talk about something, now would be a good time to start. Now that you are almost an adult. It is the time to build that confidence to speak up for yourself. You’d be amazed how much you are going to need that in college and beyond. In the long run, organization skills are also important to have. As classes get harder and your responsibilities build, you’re going to need to make sure that you have all of your materials, papers, assignments, and study resources neatly organized so that you don’t have to waste time trying to figure out where you put everything. You should seriously consider investing in organizational materials like binders, notebooks, file folders, and a planner/calendar to keep a mental check on all of your tasks and assignments.